Haas Laser G4 Series components offer state-of-the-art laser processing technology to retrofit and upgrade a Komatsu laser cutting machine. 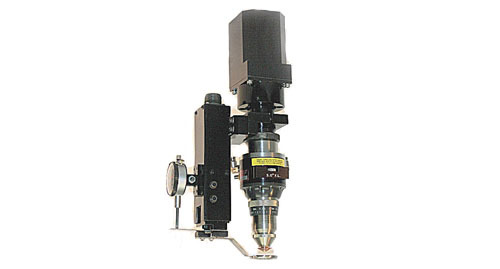 The Haas G4 Laser Head is designed for High-Speed Multi-Kilowatt Cutting Applications. The existing contact foot along with some custom brackets were used. Mitsubishi, Mazak and several other retrofit packages available. All are available with contact foot and capacitive height sensing options.